What is a servo motor? An exclusive beyond-the-motor-housing tour of industrial servo motors. The components and parts you must know to understand what a servo motor is and how it works. Precise cuts and grooves make a lovely home for one of the most important parts of a servo. You’ll find the wave washer opposite of the pulley end (OPE) here as well. An efficient and sturdy wavelike design with lubricant on one end (closest to the encoder) protects the surface from corrosion and contamination while also preventing the bearings from failing prematurely by applying the proper preload. We’ll keep this one short. Approximately 1-inch thick coated aluminum surrounds the inners of the motor to keep all the things you don’t want outside. Designed for quick and easy disassembly and reassembly – always a plus. Think of the motor shaft as the prime mover, whereas the gearbox or belt and pulley system to which it’s attached can harness that energy to increase the motor’s torque while reducing its speed. The motor shaft is traditionally made from cold or hot-rolled steel. Pictured is a Mitsubishi HG-SR series AC servo motor shaft without key. There are several types of servo motor shafts to pick from, so pay attention to what your application calls for. These precise motion control bearings have high accuracy and very little vibration. The result is a very smooth and quiet performance. Bearing life continues to improve as manufacturers develop new greases and ways to reduce fretting. When the servo motor is run at rated speed under rated load, bearings should be exchanged in 20,000 to 30,000 hours as a guideline. This differs on the operating conditions. The bearings must also be changed if unusual noise or vibration is found during inspection. Attached to the shaft and wedged between two bearings, the rotor is the movable part of the servo motor. Ultrathin layers of magnetic steel laminations (0.55 mm) make up the rotor to create a permanent magnet. As it’s the combination of continuous attraction and repulsion between the stator and rotor that creates the necessary force to rotate the motor. The pictured stator is a more modern design. It’s composed of 12 individually wrapped winding segments linked together by a single copper wire, whereas others can be one giant winding. You’ll typically find some sort of insulation tape here as well. Compact and lightweight, the encoder is an electro-mechanical feedback device used to communicate the speed and direction of the motor back to the drive. This ultimately allows the operator to monitor and adjust certain parameters on demand. 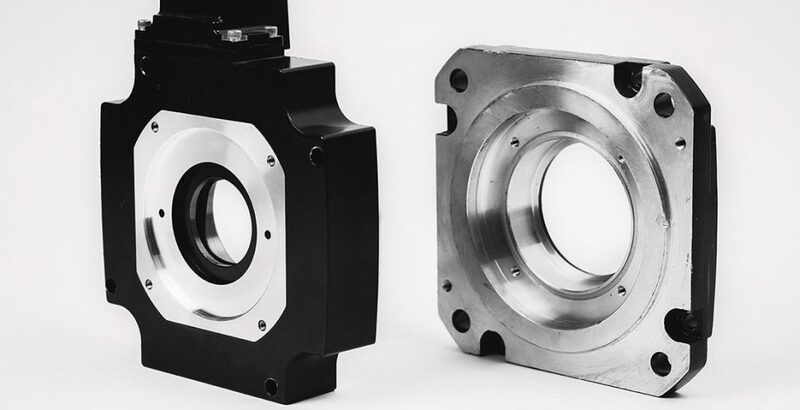 Most manufacturers elect to use a coupler and bushing to secure the encoder to the motor – simple, yet effective. There’s not really much going on outside other than the feedback connector, which takes the data back to the drive unit once interpreted by the processor. Pictured is an A48 absolute encoder belonging to a Mitsubishi HF Series servo motor capable of 260,000 pulse/rev. Diligently holding things in place while the machine is powered off or the e-stop is activated, the brake is only composed of a few parts. Warning: the spring will let go when voltage is applied, so be careful when releasing the brake as the machine will drop. Most of what we’re calling secondary components add an extra layer of security against the elements of every day servo motor life. The snap ring prevents further damage to the motor by maintaining the shafts position after a direct hit or nudge from some unwanted force. 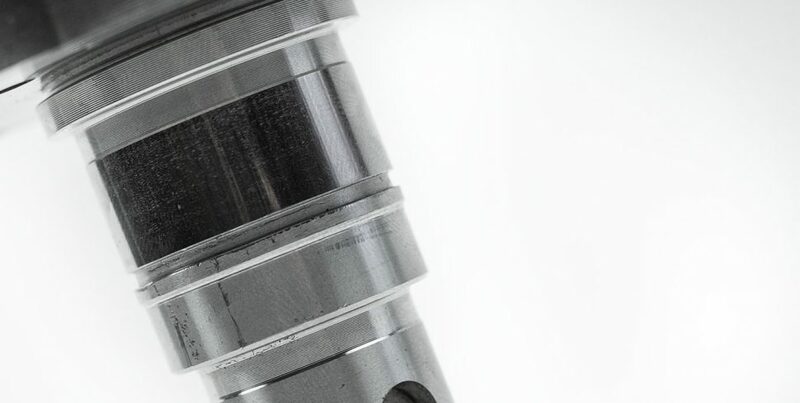 Without it, the shaft could easily retract into the housing – and we definitely don’t want that. Sitting atop the end bell or housing lies the spacer and gasket. The spacer holds the motor power connector, while the gasket seals the joint between the connector and spacer so no coolant or cutting fluid leaks in. This handy little plate closer to the pulley end prevents the bearing from slipping out of place. Don’t underestimate this expertly crafted mounting surface as it has an allowable tolerance of -8 micrometers (µm). Made of plastic polymers, the O-ring is placed between two parts to form a seal to prevent liquids from entering. It’s not uncommon for a single motor to have multiple O-rings. Be on the lookout for future learning series as together we continue to explore other areas of industry. In the meantime, here’s a well-produced video animation that demonstrates this remarkable invention that’s been fueling industry since the 1800’s. Never stop learning. As you gain more experience, you’ll start to build a greater appreciation and understanding of the equipment that keeps industry moving – and it’s that passion and curiosity that will sharpen your skill and insight for greater innovation.